Check out this sneak peek into some of the more unexpected results in this year's report. If you’re looking for yet another survey on the state of software testing, Wipro’s latest State of Quality Report is NOT for you. But, if you want to read some exclusive quality engineering research based on real data from top global organizations, you're in for a treat. "The uniqueness of this report is its fact and ground data-based approach. 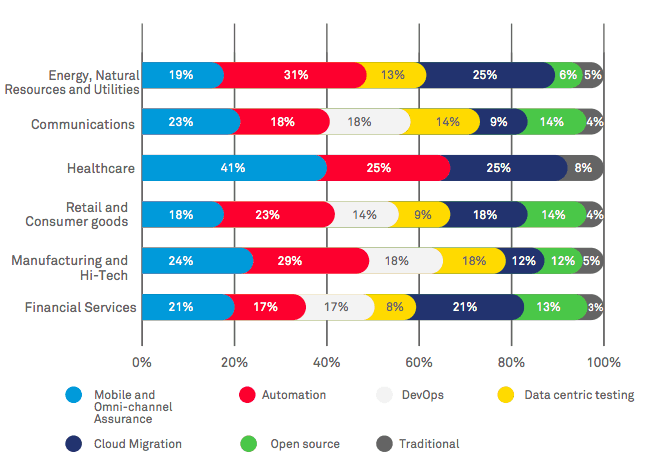 This report analyses data from over 1,500+ QA projects across 400+ global organizations, data from 1,000+ RFPs, consulting assignments, and customer, analyst and expert interactions spread across industries. We have also included data from five leading partners in the industry, our acquisitions and the larger ecosystem." We strongly recommend that you download and read the complete (60-page) report. Here’s a quick recap of some of the more surprising findings. 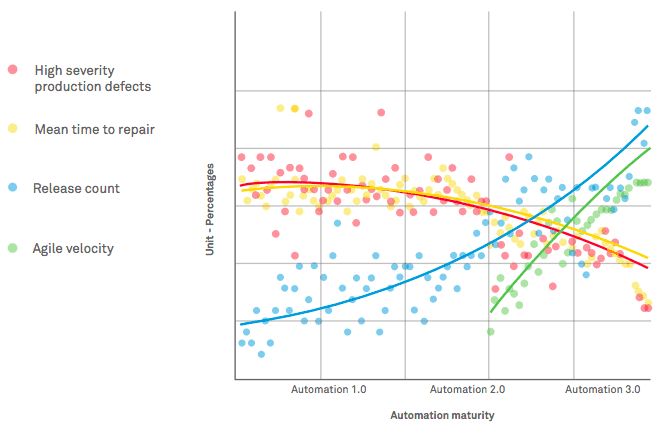 Financial services achieved the greatest increase in test automation (40.62% increase over the past year), but Manufacturing (35.71%), Healthcare (34.61%) and Energy, Natural Resources and Utilities (33.33%) aren’t far behind. If you were among the 1,500+ attendees of our recent webinar Data Warehouse Testing: The Next Opportunity for QA Leaders, you’re probably already aware that big data testing is a big opportunity. But you might be surprised by how many organizations are already struggling with big data testing. The exponential growth in the technology landscape, where Big Data tools demand stands at 35% of the total demand, makes it harder to identify testers with the right skill set for Big Data testing. 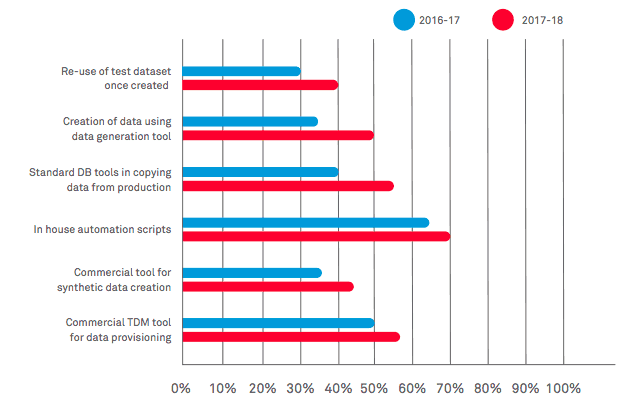 Given this tepid “progress,” it’s not surprising that 86% of organizations still report that test data management is a struggle — and only 5% can get the test data they need within 1-3 days.